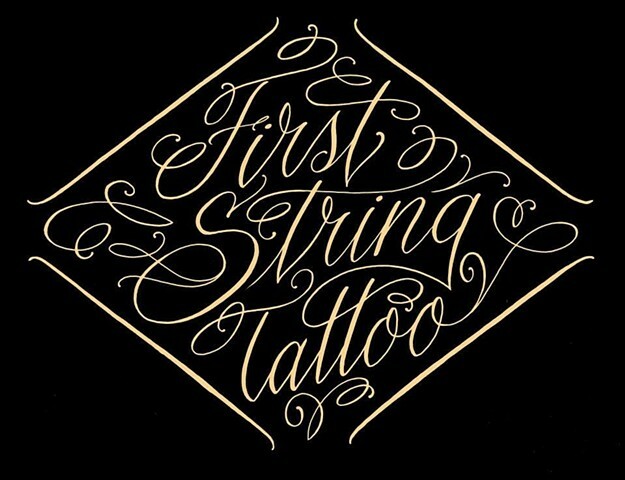 First String Tattoo Studio is a custom tattoo studio in Winnipeg, Manitoba featuring the artwork of J. Majury, Carly Montgomery, Coral Pollock, and Jan Veldman. Together we have nearly 50 years of tattoo experience, and can cater to all styles. We do not however do any piercings. First String Tattoo Studio offers clean, custom tattooing, original artwork, as well as Laser Tattoo Removal in a safe, clean, and professionally licensed environment. We specialize in all styles, as well as cover-ups. All inquiries are welcome. No tattoo is too big, or too small! First String Tattoo is now home to Jan's Banger Box!! This machine takes a token for a "get what you get" style of tattooing! You have to come down and check it out for yourself!! You can also follow us each on Instagram, as well as our Facebook page for updates on all of our work! Thanks for taking the time to check out the site!